Have you done some spring cleaning of your old recipe ideas? I mean, turn over a new leaf in the way you see ingredients and process how you might prepare them? I’m always looking to evolve from my gut instincts on what to do with a certain familiar food, for better or for worse (sometimes, the simplest, most instinctual answers are best). But spring seems especially fitting for turning that equation on its head, and coming up with a new plan of action for what to do with, say, snap peas. At first, I’d wanted to make a soup, with a creamy, minty base. But this time, it’s going to be ice cream, with a touch of lime juice and basil infused. Granted, this is not something you should be eating for dinner, like that soup could be, along with some crusty bread. Desserts are a gratuitous pleasure in my everyday eating routine, but it’s fun when you can come up with a new one and share it for a special occasion. So when snap peas came about at the Greenmarket, I pondered, imagined, and then savored that soup made with them. Then, instead of actually doing it, I set about making some ice cream. Simultaneously, I was making the dish just prior to this post, for a coconut green curried snap pea dish. Also, the pea-flavored ice cream idea has been attempted to great success, it looks, by others, according to Tweets responding to my idea. 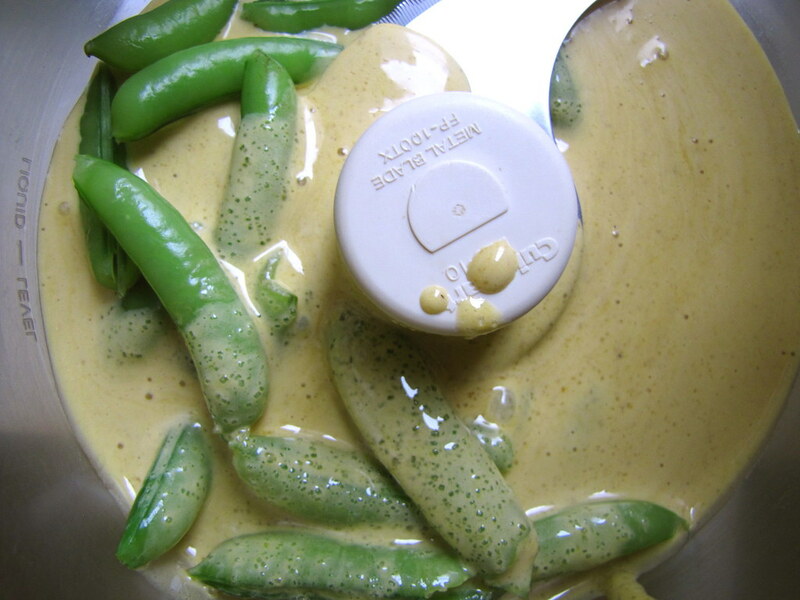 But the use of fresh sugarsnap peas, with their pods as well as peas ground up and strained into the cream, didn’t seem to have an online recipe for it yet. Trying to capture the whole pod and pea of the snap peas in all their freshness, I first blanched a bunch of them and shocked them in ice water, to preserve their greenness. While whisking the egg yolks and sugar to create a custard base, I decided to blend this in a food processor along with the drained snap peas. It took several rounds of pulsing to totally eliminate any green chunks from the mixture, and create a bubbly, light-colored froth. The milk and cream were infused with fresh mint and basil leaves, heating on the stovetop just to a scalding-hot temperature. 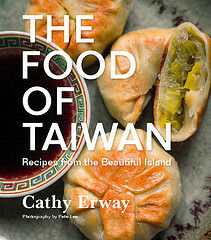 Afterward, a small spoonful was poured into the egg-pea mixture at a time, while whisking, to temper the egg yolks. After about a cupful of the milk mixture was incorporated, everything was combined on the stovetop over a low, gentle heat, to thicken into the ice cream’s custard while stirring occasionally. Finally, using a regular colander, the whole mixture was strained just to remove any stray bits and create a uniform consistency, and it was sealed up to chill overnight before churning in an ice cream maker. Essentially, I’ve treated the snap peas like a fresh fruit to puree and add to an ice cream base. Only, without leaving any chunks or bits in the eventual ice cream. I contemplated studding the ice cream with whole peas throughout, but I don’t much like the texture of frozen peas, and the smooth texture sounded like a better challenge. In the end, the ice cream really does taste of sugarsnap peas, and it isn’t too sweet thanks to not adding as much sugar to the recipe. The lemon, mint and basil are familiar flavors to accompany this fresh taste of spring with. My only complaint is that the ice cream didn’t turn out too green in the end. I suppose you could always create a sundae, adding fresh sugarsnap peas and their pods as a topping to give it some bright color in addition. Heat the milk, cream and fresh herbs in a medium-sized pot over low heat. Once it just begins to give off steam and bubble a tiny bit around the edges, remove from heat and cover. Let sit 30 minutes to steep. Prepare an ice bath and bring a pot of water to a boil. 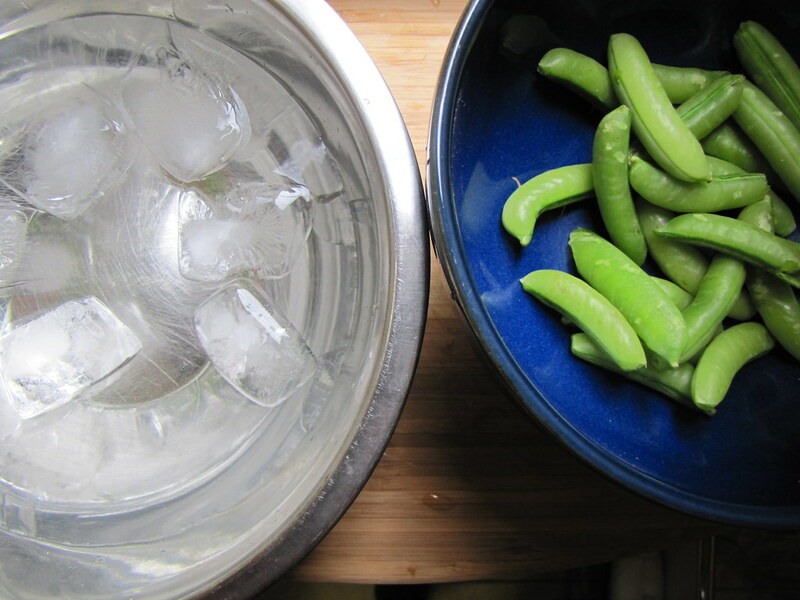 Submerge the snap peas for 1-2 minutes, then remove with a strainer and transfer directly to the ice bath. Let sit until completely cool, then strain and dry thoroughly. Whisk the egg yolks and sugar in a mixing bowl. Transfer to a blender or food processor, along with the peas. Pulse several times, stopping to scrape down the sides as necessary, until completely smooth and no green bits are evident. Return the fresh herb mixture just to a scalding-hot temperature and remove from heat again. 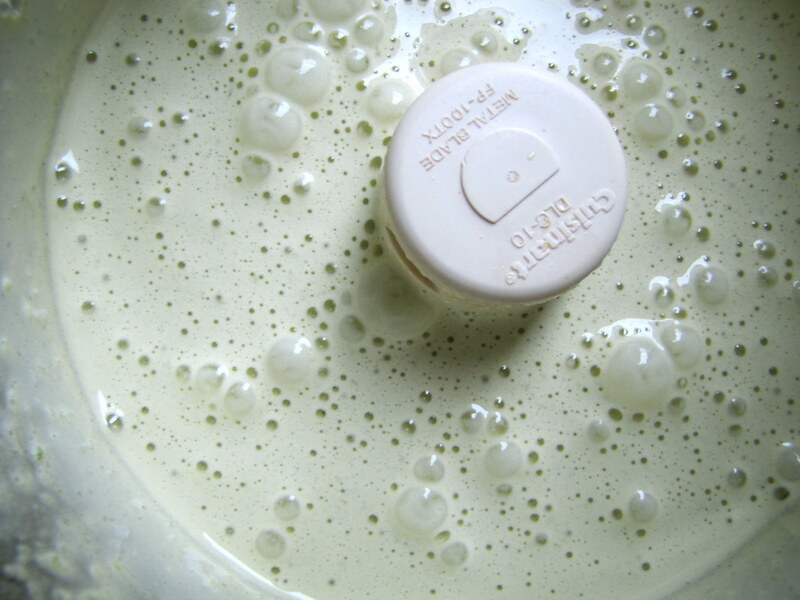 While whisking the yolk-pea-sugar mixture, add a small spoonful of the hot milk mixture. Add another, while whisking, and another, and another, until about one cup of the milk mixture has been incorporated. Transfer all the yolk mixture to the saucepan with the milk mixture. Heat over low heat, stirring occasionally, until mixture is thick enough to coat the back of a spoon (about 8 minutes). Use a mesh strainer or colander to strain the mixture over a mixing bowl. Let it take as much time as it needs to strain through, and capture the fresh herbs and any remaining bits of peas. Seal in a plastic container and chill at least 6 hours, or overnight. Transfer to an ice cream maker and churn following the machine’s directions. 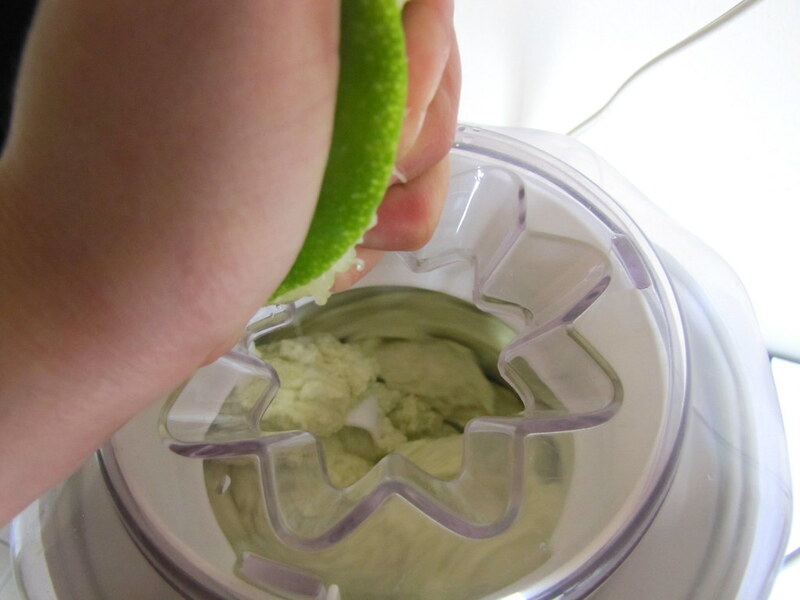 During the last few minutes of churning, add the fresh citrus juice. Seal again and freeze for 30 minutes to “ripen” the ice cream before serving. Seven brownie points: Adding a fresh vegetable to an ice cream flavor must be better for your health than a rich caramel, right? While this is true, and while the sugarsnap peas do contribute some Vitamin K to your diet, this is still a sweet, creamy, calorie and cholesterol-ridden dessert. Other benefits to your diet would include calcium, from all that dairy, and not an insignificant amount of protein from that, the eggs, and the peas. 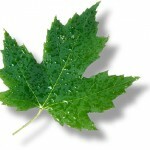 Eight maple leaves: It’s really easy to make an all-natural, all local ingredient-based ice cream thanks to all the great dairy and eggs this region produces. Those are the main ingredients, and seasonal vegetables and herbs such as snap peas and mint for flavor are easy to find at springtime locally, too. Ok. I am going to have to try this! I love green tea ice cream- once I got over thinking it was strange. The same with zucchini and chocolate cookies. 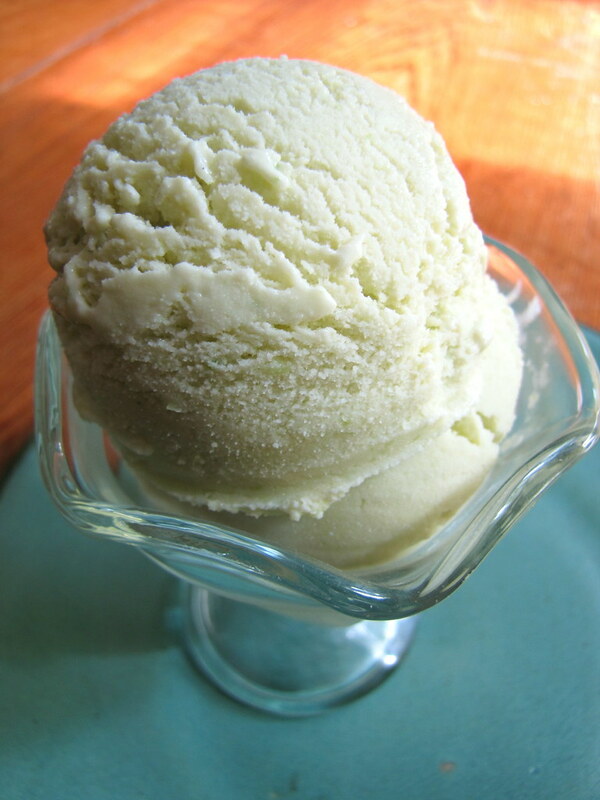 Now I have to try sugar snap pea ice cream! What an awesome idea! Sounds refreshing. Wow I would never have though of this but I can see how it would work!